Those who accept free products as compensation for posting our product. Also, those who feature medical/healthcare products and accessories for Apple products, iPad, iPhone, tech accessories, cases and bags. 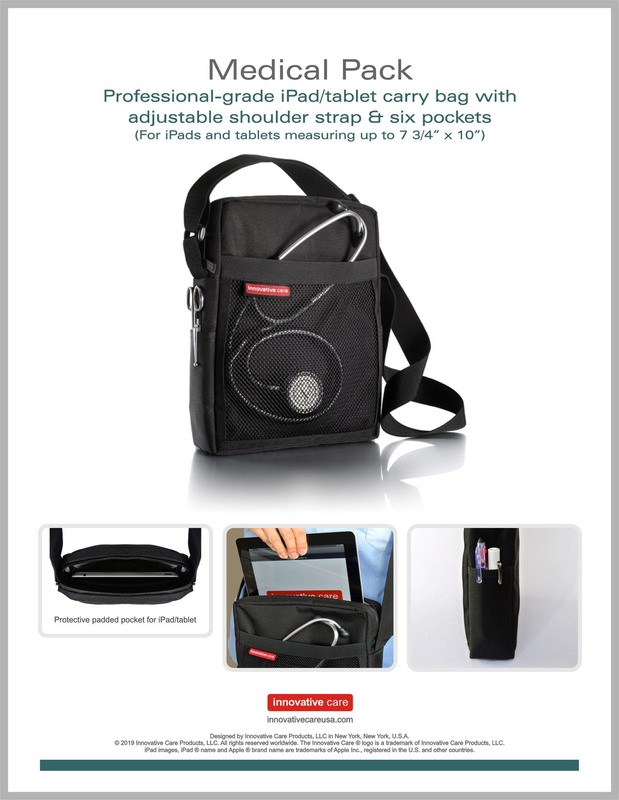 The iPad-tablet shoulder carry bag for nurses, healthcare, doctors -Medical Pack is a lightweight, cross body and shoulder strap bag with 6 pockets including a special inside padded pocket to protect your iPad or tablet. This durable & rugged bag has an expandable front mesh pocket for quick access to frequently used items. It’s a great way to carry and protect your iPad/tablet & gear while traveling or working.